On our travels to Italy we ate some amazing food. From the southwest coast to the northeast coast you will find a similarity in menus but not in preparation. Along the Amalfi Coast we loved the freshness and brightness of the foods. 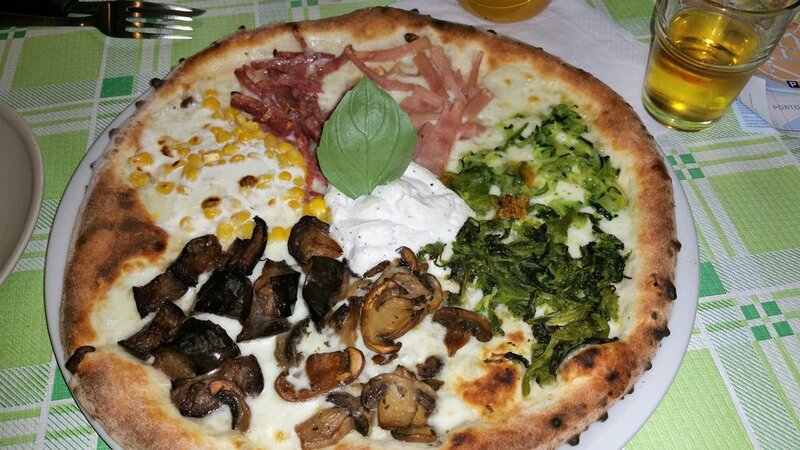 Pasta and Pizza are always easy to find especially near Naples. What we recommend is anything that combines the fresh seafood with the abundance of lemons, garlic and olives. Whether it is linguine in clam sauce or whole prepared fish you will love the light, subtlety of this region. What many recommend is doing your meals in courses. Here you will find great choices in proseccos that are light and effervescent, wonderful compliment to any starter. Wine everywhere in Italy is great. We found we loved the house red wines everywhere we went. In this region I was pleased too with the selection of crisp white wines that really brought the seafood dishes to life. This is home to the best lemoncello. The Amalfi Coast is known for its lemons and some of them are the size of grapefruits, and everyone has their own opinion of which local family makes the best lemoncello. It is a wonderful way to top off any meal. As you travel north through Italy we found that fish was replaced by meats. 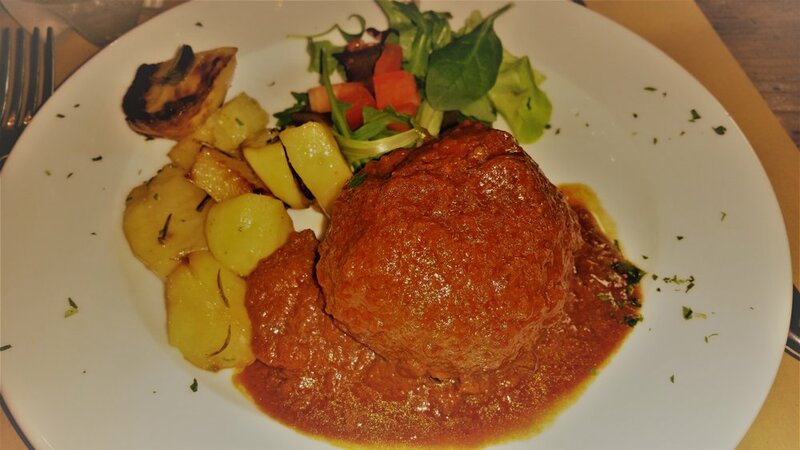 In Florence you cannot miss trying their famous steak dinner. The steaks are the size of your plate! There are a number of great restaurants that are well-known for this, and I assure you if you love meat you need to treat yourself one night to this. Pared with a great house red you will be ready to walk back to your hotel. Charcuterie is a staple here and you will find some amazing cured meats. The wild boar here is used a lot and it has a much gamier taste. Another must have is the unsalted bread and the soups, or better still a bread and tomato, ribollita soup. That and a glass of wine are the perfect lunch. 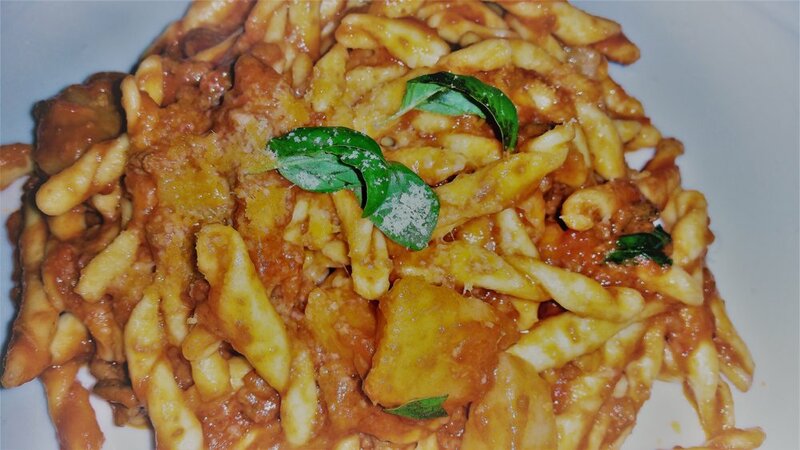 Bologna is known for its Bolognese sauces: rich, meat, red sauces that make any pasta pure love. We found the foods in this area to be much more like comfort food! In addition to hearty red sauces they also love their béchamel sauces, which make the most extraordinary lasagnas. In Venice we found that fish was again the highlight but minus the lemons that brightened the meals in the south. Risotto was amazing here. I do wish we had more time to spend here because it looked like a foodies paradise. We did take the advice of several people and stayed away from the tourist spots along the canals. The suggestion was, if the menu is in 3 languages move on. In addition to wines being found everywhere in Italy so are the coffee or expresso shops and Gelato places. They both come in handy with the amount of walking you will be doing as you tour Italy. To me, the best place for food was Rome! It is as if all the best foods from throughout Italy converge here. Or it could be that each little restaurant is so welcoming. Meals are a lifestyle in Italy and no one does it better than Rome. And the variety is amazing, from fried artichokes, to pasta, to pizza, to pastries you name it they have it, and always with a welcoming atmosphere and never a rush to turn a table. We chose our accommodations wisely, we had read that Trastevere – across the river south of Vatican City - was where some of the best little restaurants in Rome were and it exceeded our expectations. Don’t worry if you find yourself in a little restaurant and no one speaks English, these were some of our best evenings. Our very first night was in Salerno, where we stumbled upon a restaurant in a grotto along the water. When our waiter arrived he realized we didn’t speak English. No problem, he went to get another waiter who he was convinced spoke English. But we discovered this second waiter's English vocabulary consisted of OKAY! With smiles and charades we were able to order an amazing 3 course meal!